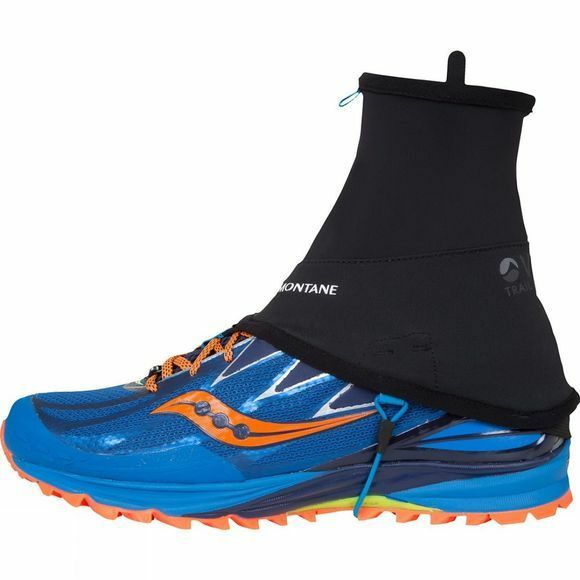 The pull-on Montane Via Trail Gaiter is a close-fitting ankle gaiter for trail and mountain runners alike, cut to fit with most trail running shoes. Its lower part is constructed from Granite Stretch softshell fabric while the upper section features a four-way stretch panel for reinforcement and freedom of movement. A close fit around the ankle prevents weather and trail debris entry.